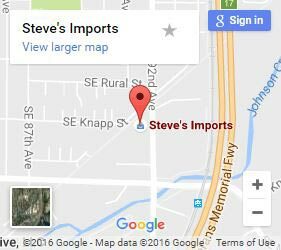 Steve’s Imports has been performing BMW repair service for Clackamas, Oregon for over thirty years. The original 1600s that we were servicing when they were new are now the collector cars that we restore back to factory condition. We’ve been along for the ride for the full range of BMW’s evolution and are equipped with the experience to make any model of the German Driving Machine run for years to come. Whether it’s changing a timing belt on your E30 coupe or performing a complete engine overhaul on your new M5, Our ASE-certified technicians take pride in servicing any BMW with care. 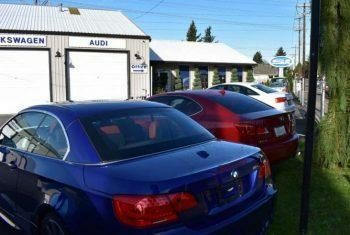 At Steve’s Imports we treat every BMW we service like it’s one of our own, and you can rest assured that your vehicle will operate at the optimal level of class and dependability that the brand has relied on since its inception. It doesn’t matter if your BMW runs on petrol or diesel, has 4 cylinders or 8 – we’ll have it operating at the maximum efficiency it was designed for. Regardless of repairs needed, we always suggest an overnight cooling system pressure test. We often will perform overnight pressure tests to ensure thoroughness of cooling system repairs on BMWs. We’re happy to check if you need to replace the timing chain and belts on you older 3, 5, 6, or 7 Series BMW. These models can develop problems with the electric water pump and engine fan. 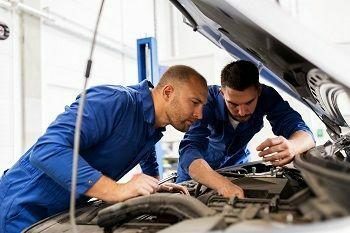 Issues are usually indicated by a noisy engine fan that won’t shut off or a vibrating or humming sound after the car is shut off. If the engine fan won’t shut off along with the engine, it’s because the computer senses a malfunction in the cooling system, sending it into a fail safe mode. Talk to our mechanics if your vehicle is experiencing these issues. We’ll help you diagnose it correctly, take care of the repairs, and test our work before handing back the keys. If you see an amber warning light that shortly turns to red and leaves you with a dead engine, it was likely caused by a failed electric water pump. The dash lights indicate overheating; common in E90 and E60s. A failed water pump causes the car to overheat, build pressure, and cause a leak. Less experienced mechanics may notice the leak, but not test it. Our BMW mechanics understand the connections between these types of leaks and water pumps. We test the pump by activating its special bleed procedure. Turn the temperature control to its hottest setting and the fan speed to its lowest setting. This will turn on the water pump, which will make noise. You should also be able to see a small stream flowing in the reservoir (expansion tank). If you do not see any flow, then it is more than likely a faulty water pump. Steve’s Imports has been in the business of foreign car repair for over forty years. Our shop has evolved along with every make and model of the cars we love to work on and throughout it all, we’ve stayed ahead of the curve. 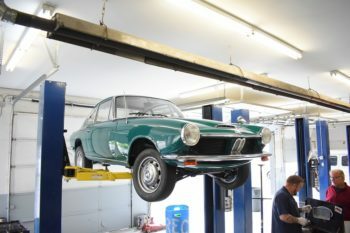 Our experience is what allows repairing your BMW to be not only enjoyable but affordable. We want every customer we have to be able to call on us and ask whatever they want. We don’t just want to be your mechanic, we want to be a source of information. Learn more about common issues with BMWs here. Over the years we’ve found that our hands-on dedicating to making every BMW the best it can be is the key to happy long-term customers. 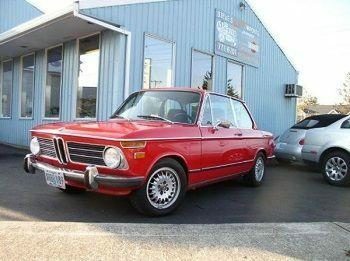 For the best BMW repair in Clackamas, roll on into Steve’s Imports today.